As I reported earlier this spring, the male osprey arrived from South America and a few days later, at the end of March the female flew in from South America. They wasted no time starting a family. By April 20 there were three eggs and about 40 days later three baby chicks were seen in the nest. Recent observations show that there may be only one remaining chick. The very wet weather of the last two weeks may have played a role in the apparent deaths of the other two chicks. 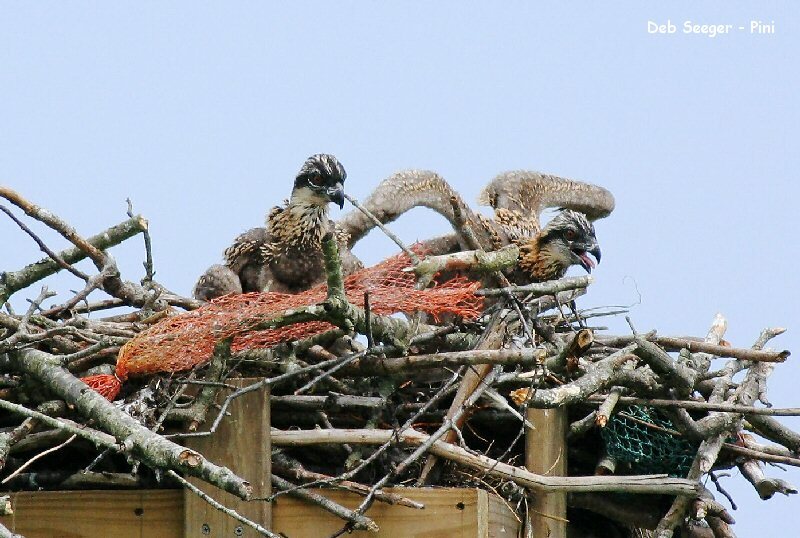 This entry was posted in Life and tagged Bird Watching, chick, Jamestown, Migration, nest, Osprey, raptor, Rhode Island, south america. Bookmark the permalink.